This feature is included for free in our Uptime Monitor service. You can choose to monitor the validity and authenticity of your SSL along with your website monitoring. Verify SSL Certificate – checks if your website’s SSL certificate is valid and authentic. If not, then it will mark your website as being offline and send you an alert. 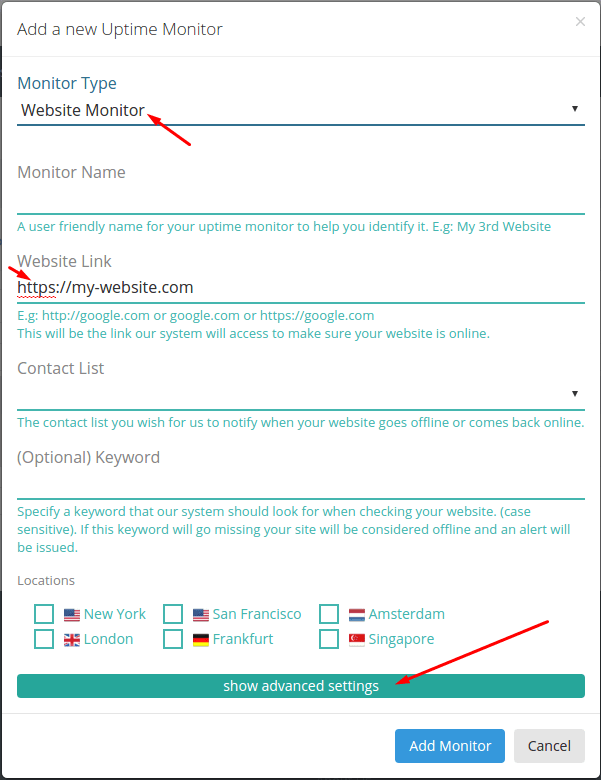 Verify SSL Hostname – checks if your website and SSL hostname match. If not, then it will mark your website as being offline and send you an alert. Please note that these two settings only function if your “Website Link” is an HTTPS link. Activating these settings with an HTTP (non SSL) website link will have no effect and will trigger no alarms.